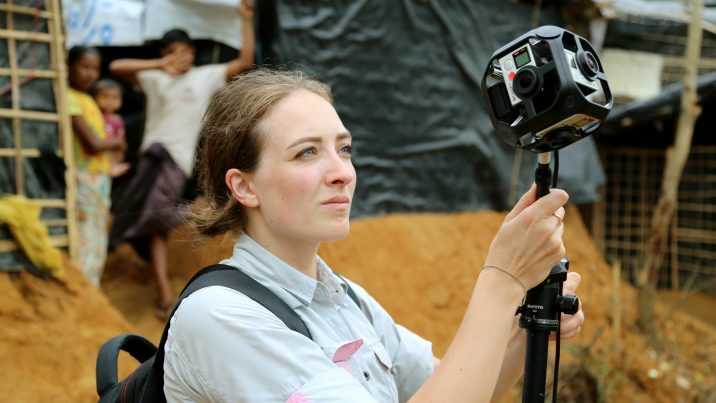 Viktorija Mickute is a producer for Al Jazeera’s immersive media studio, Contrast VR. We sat down with Viktorija to talk about the making of one of the latest Contrast’s pieces , Yemen’s Skies of Terror, her top tips for beginner 360 journalists, and avoiding elitism in our emerging industry. What first got you into VR? After I received my Master’s in journalism from the University of Missouri (MU) and went home to Lithuania, I stumbled across VR and 360. I was thinking about the future of journalism and documentary filmmaking, and realized VR was something I wanted to explore. My classmate from MU Alexey Furman had already founded his VR company New Cave Media in Ukraine and so we started talking about what we could do in Eastern Europe. I did a couple of stories sto test out the tech and started exploring how I could get into the industry when this offer from Al Jazeera came through. I joined the team last August and I’ve really been enjoying all the stories our team has been able to produce. How does Contrast VR work in collaboration with Al Jazeera? Does your team normally come up with your own stories, or do you do pieces that complement existing Al Jazeera coverageMultiple shots from multiple angles to capture the events in a scene (i.e. master shot, medium shots, close-ups, inserts... More? We’re an immersive media studio within Al Jazeera, so our goal is to apply new technology to storytelling, while keeping the same Al Jazeera DNA in the stories we cover. That means human interest pieces in parts of the world that don’t get as much attention from other networks. We collaborate with Al Jazeera to distribute our content, and we sometimes partner on production. 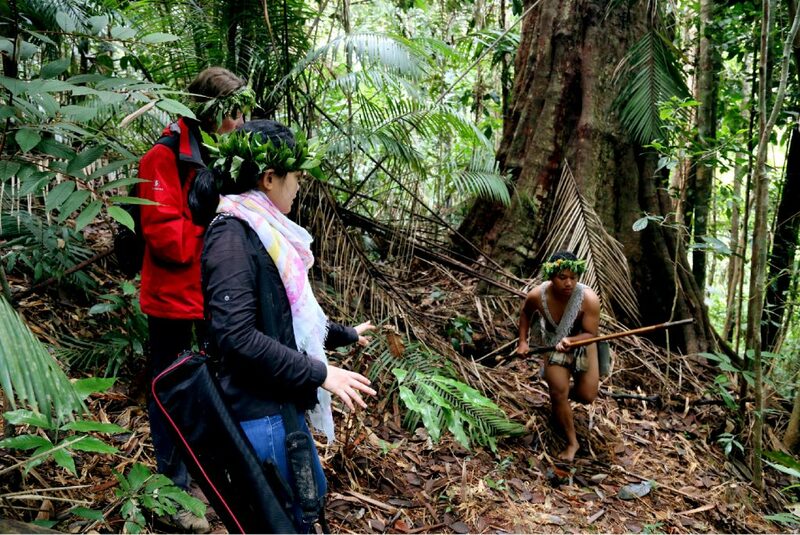 For example, we shot a VR documentary in Malaysia, working with 101 East – Al Jazeera’s traditional documentary show. We leveraged their contacts and expertise on the topic, while applying our skills to tell the story in a new way through VR. How do you decide which stories will work well in 360? 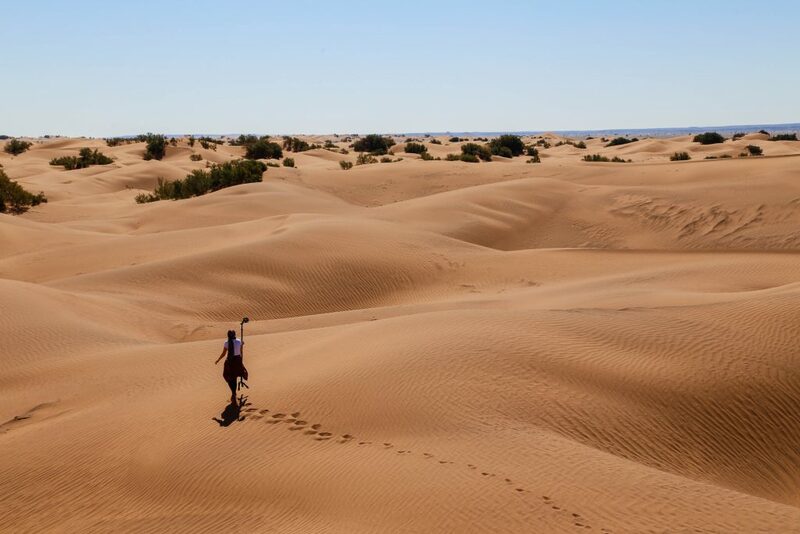 In 360, location and action are very important, but we don’t stop there. It has to be a character-driven story, and even in 360 we won’t compromise that. We’re always telling human-centered stories with strong characters telling the story from their perspective. We aren’t using 360 just to transport the viewer to a new place. we want to make sure the viewer meets the people there who show him/her their daily lives and provide an insider’s perspective. What cameras and gear do you typically use? For Yemen’s Skies of Terror, we sent Samsung Gear 360s to local journalists so they could quickly learn how to shoot 360 videos. We trained them virtually using Whatsapp messages and voice notes. If we’re shooting it ourselves, we use our GoPro Omni for medium-range productions, for example, Forced To Flee. 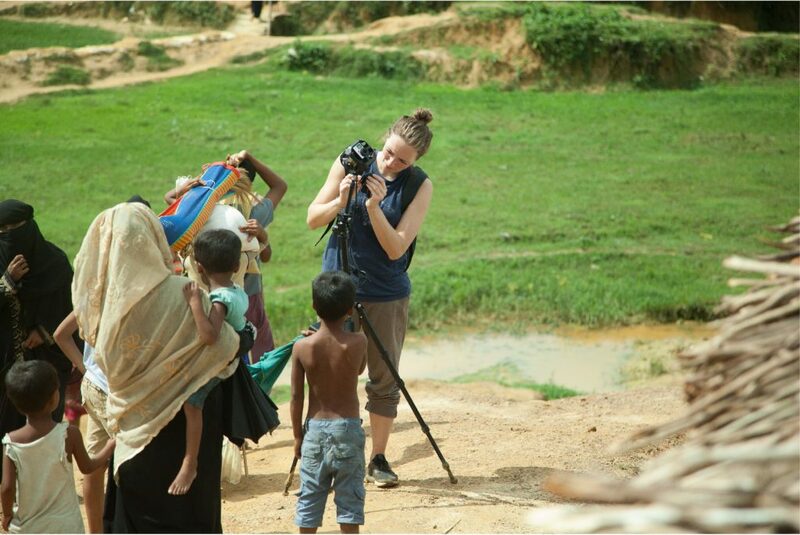 For high budget productions, like I Am Rohingya, we used the Nokia Ozo. Now, we’re using the Samsung 360 Round as our main high-end camera. The first project we shot with it was Dreaming in Za’atari in January. We also use lavalier mics for interviews and a Zoom H2n recorder for spatial audio. How are you liking the Samsung 360 Round? It’s good. Of course, it’s a new camera so there have been challenges, but Samsung keeps updating the stitching software and improving it. Samsung seems really invested in the industry, so it’s great to have a partner that wants to move things forward, and provides support as needed by our team. You mentioned that Yemen’s Skies of Terror was shot by local journalists. Can you talk a bit about the workflow on that piece? This piece was filmed by Yemeni journalists, Ahmad Algohbary and Manal Qaed Alwesabi. 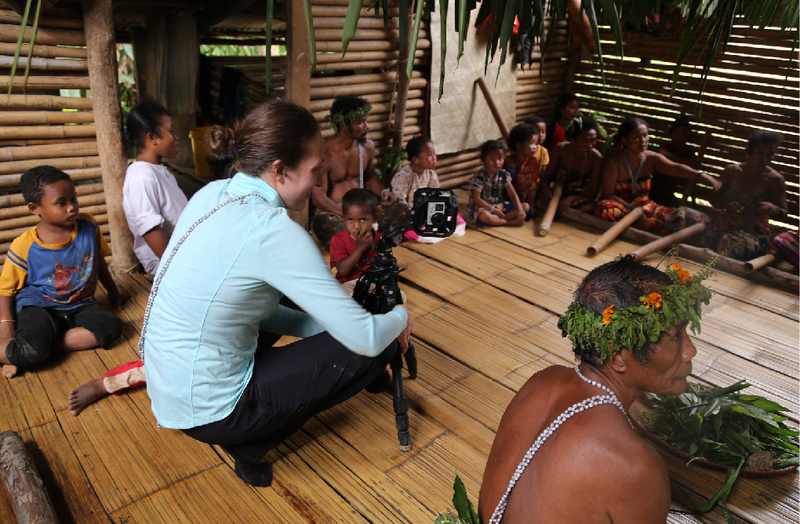 After they found the stories they wanted to tell and shot the footage, we put everything together into a film. The process was quite complicated. 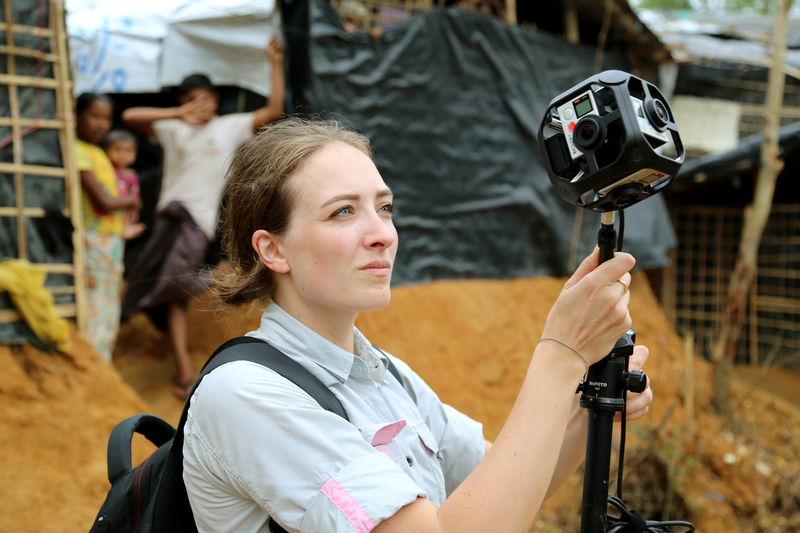 The journalists didn’t know much about video, let alone 360. We sent them a manual and gave a virtual training via Whatsapp. Then, they would shoot and send us the footage. We would review it to see what could be used in the documentary, and what was still missing. We’d give them a list of notes and then they’d go back and see if it was possible to get additional shots. There was a lot of back and forth. Sometimes they had to reshoot some scenes because the quality of the footage wasn’t good enough. Yemen’s Skies of Terror was was filmed by Yemeni journalists, Ahmad Algohbary and Manal Qaed Alwesabi. With the GoPro Omni, we have more control over our stitch, but since they were shooting with the Samsung Gear 360, we didn’t have much control. Whether it was good or bad, there wasn’t much we could do to fix it. I’m really proud of our team for how we handled the story because there were so many people involved and so many challenges, including extremely poor internet connectivity affecting our deadlines. For example, one night when the internet was down, our composer Mohsen Al-Thaheri needed to send us music and searched for two hours all over the city for a cafe that had functioning internet. The piece also included animation and data-driven graphics. Why did you choose to add in those extra elements? To make it a more cohesive documentary, we included animation and data to show how these stories are part of a bigger picture and a symbol of a larger story. Each of the three characters in that story were affected by a different airstrike, so we had three stories spanning three years of war and we wanted to illustrate that timeline. Working with local journalists without 360 experience must present its own challenges. What are some of the most common issues you deal with from beginner 360 videographers? Sometimes people find it difficult to hide for long. They’ll hide for only 10 seconds and say ‘I’ve waited for so long!’ but in VR you need to be patient. Another challenge for people new to 360 is the placement of the camera. Sometimes they choose great actions and locations, but place the camera next to a wall, or a tree, which blocks the view. Even though they are very well aware that the camera captures everything around, they still tend to adhere to traditional filming rules while first time in the field. Some beginners forget to pay enough attention to the tripod – where it is placed and how big it is. If the tripod is placed on a very cluttered surface, it might be very difficult to remove the tripod in post production. So, a piece of advice I would give is to find a solid surface or takeIndividual instance of a shot; a take = each time the camera is started and stopped. a picture of what’s below the tripod so we can fix that in post. Also, people don’t realize how much space the tripod takes up and that they need to use a skinnier tripod. We also have people putting the camera directly on a car or on the ground and we have to explain that it looks weird in VR when you look down. For example, there was a shot in the “Yemen’s Skies of Terror”, where the camera was placed on a pile of fruit. We ended up using the shot because it was necessary for the story, but that’s a placement our team wouldn’t have chosen. Another aspect: a variety of shots. People sometimes think they can just set up the camera and it will be fine because it captures everything, but you still have to think of getting close up shots, wide shots, action shots, etc. It is also important to follow the character and shoot sequences: her/him in one location, moving from there to another place, performing an action in the new place, and so on. It’s also very important to think about the source of light. For example, with the Samsung Gear 360, you have to make sure to expose both lenses similarly so the stitching lines won’t be very visible and you won’t have half of the shot overexposed and the other half underexposed. Also, you need to be mindful about the shadow of the tripod and the camera. It shouldn’t fall on anything important or moving in the shot. 360 cameras also don’t do so well in low light situations, which can make it difficult when structuring a story. If we want to film something at night, we may not be able to do it, or we may need to choose a different camera. Sometimes people pitch good stories that takeIndividual instance of a shot; a take = each time the camera is started and stopped. place at night or inside dark buildings, and we just have to say it won’t be technically possible. Those are all great practical tips! Do you have any story-related advice or best practices? We always try to get shots of the characters looking straight into the camera, so the viewer in VR can feel like the person is talking directly to her/him. Establishing that connection with the main character early on in the documentary is very important. With 360, distance is really important. You don’t want to be so far away that you feel detached from the story or location, but you also don’t want to be so close that it’s uncomfortable. The magic distance is the distance between two people having a normal conversation. In a technical sense, the average distance would be an arm’s length away from the camera. Another story-related advice would be to choose stories that work in 360. We always need to ask ourselves, whether we should use 360 technology to tell the story we have in mind. Some stories should be better told in other mediums, such as audio and text. Do you change your final cut of each piece based on the platform? We always adjust our content to every platform we publish on. The main version will be on Facebook or YouTube and will be a bit shorter to account for the shorter attention span on social media. We’ll have a longer version for headset with more breathing space for the viewer to look around and be immersed in the story and location–especially if the location is very visual and the story involves a lot of action. We also have English voiceovers in the headset versions to make it easier for the viewer to follow the story and look around the scene at the same time, whereas on social media we use the original voice with English subtitles. This way people can hear the character’s voice and also not miss anything if they don’t turn the audio on. Subtitling in VR can be tricky. There’s so much info for the viewer to takeIndividual instance of a shot; a take = each time the camera is started and stopped. in, and you may not know where they’re looking. Do you have any best practices for subtitling in VR? We usually use two or three sets of subtitles, though we’re moving towards only doing two (front and back). We try to place the subtitles on the main action–whatever we want people to look at–so they don’t miss anything. It also means anticipating where the viewer will be looking from shot to shot, so the subtitles would appear in the right place. What’s your turnaround time for a 360 piece? The time frame depends on the project. “Yemen’s Skies of Terror” took longer–we started the project in December and published the documentary only at the end of March–but the piece we did in Morocco took us two months. What would you say is your number one time-saving tip for a simpler post production workflow? Planning. Don’t just go out and shoot and see what comes out of it. That’s going to takeIndividual instance of a shot; a take = each time the camera is started and stopped. a lot of time to edit. If you plan before the shoot, you can really cut back on the number of scenes you need to film. For example, if you plan well and know your sequences and your story, you may only need seven shots for a one-minute piece. Of course, it is important to always have extra material in case the plan goes wrong. In addition, it is crucial to be flexible. Sometimes, you will need to adjust the plan (script, shot list, interview questions, etc. ), or even change it completely. On the ground, you might realize that the story should have a different focus, or that things are different from what you learned while researching during the pre-production. Covering the types of stories you’ve done in VR, have you had to overcome new ethical challenges or questions? The ethics remain the same no matter whether you’re producing a VR documentary, a podcast, a video, or a text piece. The only difference is that we need to explain more to our characters and people involved what we’re doing and how the technology works. . They have to be aware that the camera captures everything around it. Anything else you think people should know about you, your work, Al Jazeera or VR in general? Far too often, 360 and VR are considered to be a medium only consumed and produced by Western countries. That’s why we want to make sure that people in other parts of the world are also involved. While the industry is so new and we are still shaping it, we should try to make sure it doesn’t become elitist. 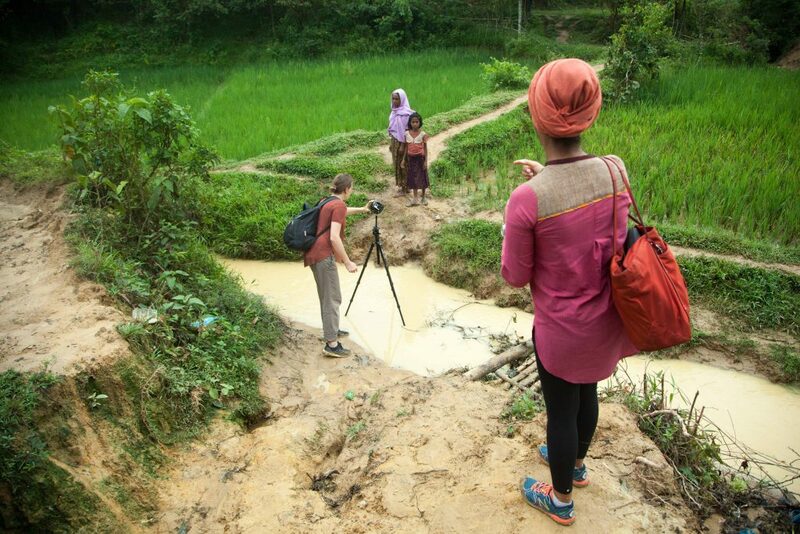 At Contrast, we involve as many locals as possible in our productions, as well as train and sometimes equip local journalists and photographers with 360 cameras. Then, they can use those cameras and new skills to shoot for us or for their personal projects, or local media organizations. We want to create a global community. We want this industry to be a diverse place for everyone. To keep up with Viktorija and her work, follow her on Twitter and Instagram.